In a world filled with media distractions and consumer demands are we moving away from the day to day need to connect as humans? Are we losing our sense of humanity and our ability to empathize with the people around us? 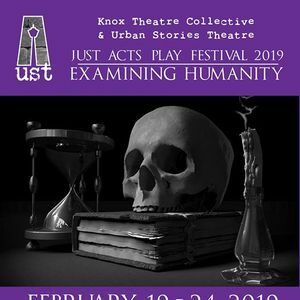 Just Acts Play Fest: Examining Humanity. A showcase of short plays on what each playwright sees as Examining humanity.